How can our property expertise help YOU? We find Creative Property Solutions for Sellers, Investors, Landlords and Tenants and assist you through the whole process. Are you an investor looking to venture into property for better returns for your hard earned cash? We have several projects which require cash input and we offer handsome returns to our investors. We are happy to work with both – those who want to actively get involved in the property projects and also those who wish to have a totally hands-off investment for a healthy return. Do you like the sound of professional managers offering you Guaranteed Rent and Fully vetted, working tenants and full management of the property at no additional cost to you? 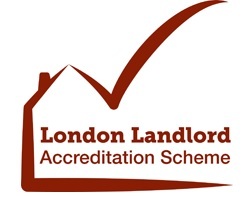 We specialise in HMO management and offer quality accommodation for professional tenants. If you wish to work with a developer to enhance your property for sale and share the profits with the developer. If you own a piece of land or commercial property ready for development or renovation. If you would like to live in a property as if it were your own and use part of your rent as a deposit towards a future purchase, then please get in touch. We may have suitable properties for you.